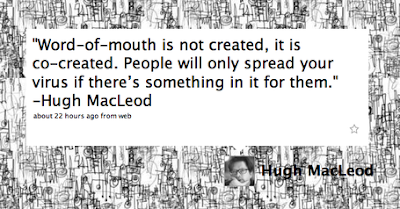 As marketers, we sometimes forget this in our desire to make stuff go viral. Why will they send it on to their friends? "My mates will like this, and think this is very cool / clever / funny / interesting - and in some way, I get kudos for telling them about it first"
Isn't this one reason why we share on blogs?